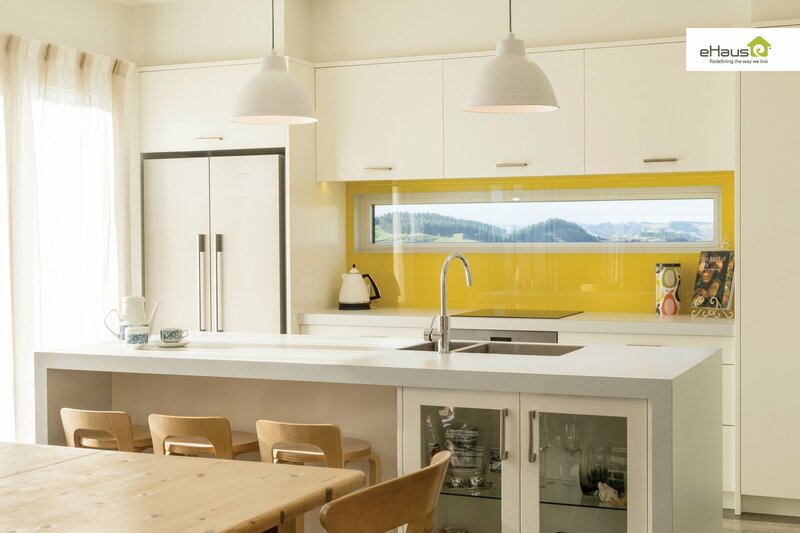 eHaus Parthenay | Sustainable Engineering Ltd. 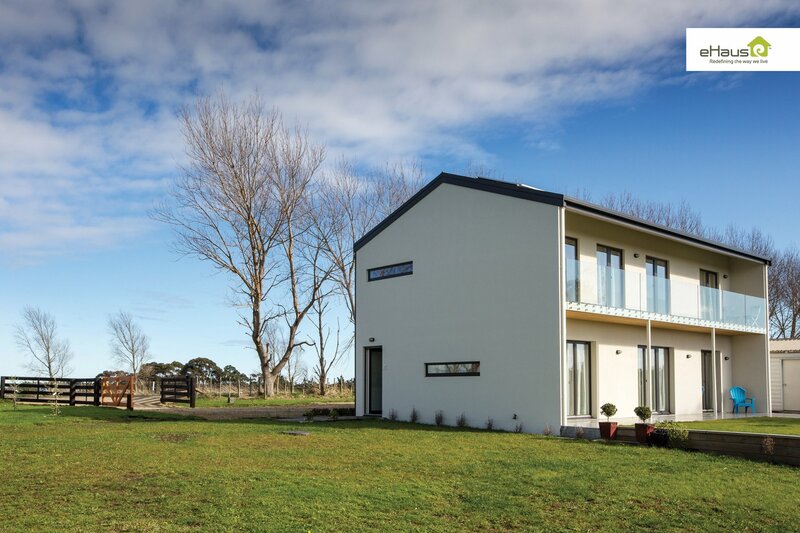 This striking family home was the first in Australasia to be certified Passive House Plus. Its performance has been monitored and reported on and it also features in the book Positive Energy Homes. The metal-clad south wall faces the road and is devoid of windows, blending in with the rural setting. The other three walls are clad with the Rockcote Insulated Facade System. The building’s simple rectangular form maximises energy efficiency and ease of construction. It was designed and sized to match the Ecoblock wall system with a minimum of waste. German-engineered windows were supplied by Ecowindows. A grid-tied 3 kW net zero solar photovoltaic system produces electricity over the entire year. The house opens up to impressive mountain views to the north. 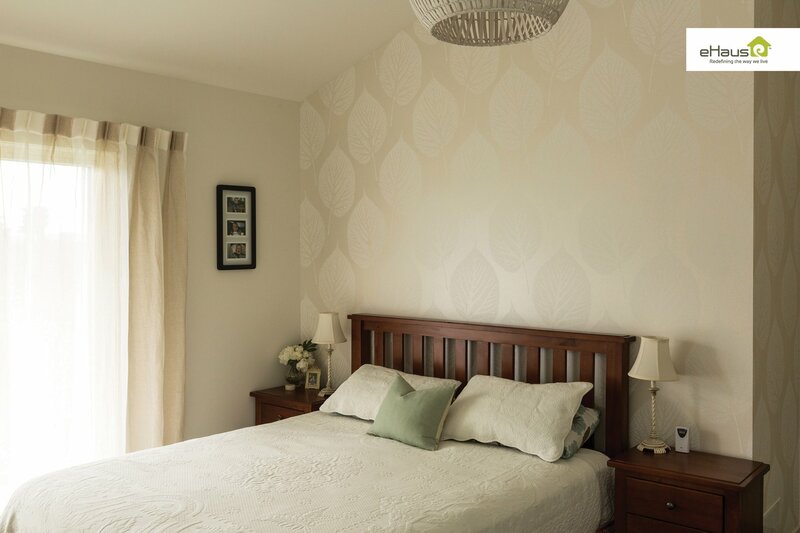 A bold use of colour inside adds immediate character and personalises the bedrooms for each of the family’s three teenage boys. The home provides excellent year round comfort including during the summer months — no active cooling is required. This has been achieved in part due to modest amounts of glazing on the eastern and western walls and well-sized overhangs to the north.